Public Invited.? Seating on a first-come basis. 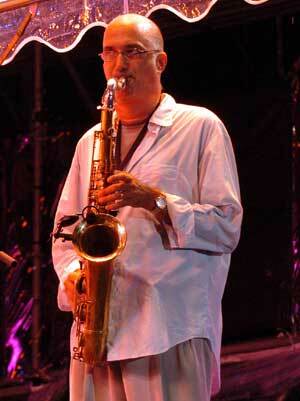 SUBJECT: Michael Brecker needs your help. My husband, Michael Brecker, has been diagnosed with MDS (myelodysplastic syndrome), and its critical that he undergoes a stem cell transplant. The initial search for a donor (including Michael's siblings and children) has not yet resulted in a suitable match. Michael's doctors have told us that we need to immediately explore ALL possible options. This involves getting as many people of a similar genetic background to be tested. 1. The screening involves a blood test only. It can be done very quickly either at a marrow donation center or at a LOCAL LAB. The cost is anywhere from $40 to $75 and your insurance may cover it. (In NYC, you can call Frazier, at the NY Blood Bank, at 212-570-3441, and make an appointment for HLA typing. It costs $40.00.) Check with your local blood bank, or go to http://www.marrow.org to find the donor center nearest you. 2. Your blood typing information can be posted on the international registry, if you choose, where it would also be available to others in need of a transplant. BEING ON THE REGISTRY DOESN'T MEAN YOU HAVE TO DONATE, it just means that you may be ASKED to do so. You can take your name off the registry at any time. 3. Should you be selected as a potential donor for Michael, please understand that there have been tremendous advances in bone marrow transplants and the term itself can be misleading. Bone marrow donation is no more invasive than giving blood. Stem cells are simply harvested from your blood and then transplanted to Michael. 4. A match for Michael would be most likely to come from those of Eastern European Jewish descent. If you or anyone you know are in this category please make a special effort to immediately get tested. Ultimately, you would be doing something not just for Michael, but for so many more who are in a similar situation as my husband. 5. You are now part of our internet-based drive for donor testing. If everyone who receives this can motivate a bunch of their friends to get tested, and those friends then forward this email to get their friends to get tested, we will have rapidly expanded the pool of potential donors. I urge all of you to get tested AS SOON AS POSSIBLE. Any local blood center/Red Cross center can assist in organizing a drive for Michael, although it would be desirable if you can get a large group, e.g. a synagogue, to sponsor it. Should you have any questions about this, please don't hesitate to get in touch with Michael's management office at 212.302.9200 or info@michaelbrecker.com.